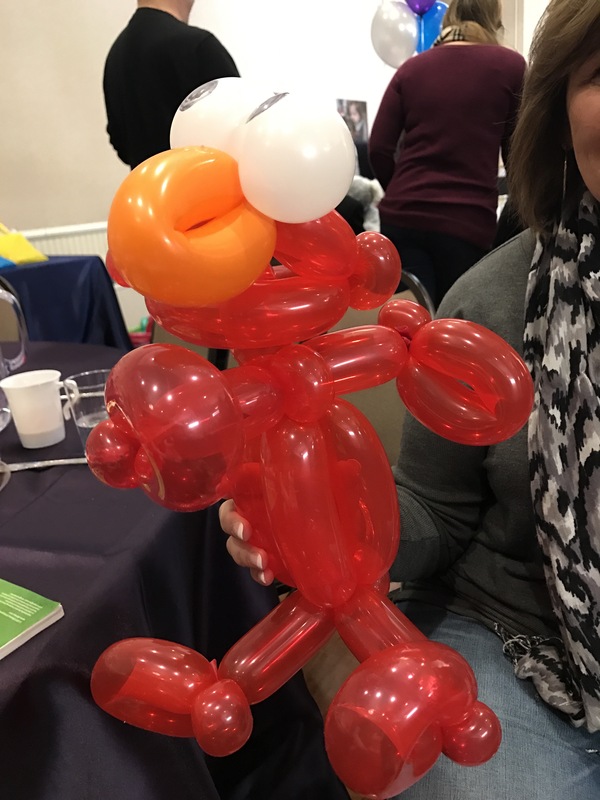 Alex went to a birthday party yesterday and an incredibly talented balloon artist made her this Elmo. Only a true horror fan will get that reference. If that’s not you, check out the 1980s re-make of The Fly where you can see Jeff Goldblum slowly transform into a hideous monster after stepping into a teleport machine with a house fly. Not only is it a great movie, but it also perfectly depicts what happens to you when you step into life with an infant and a toddler. 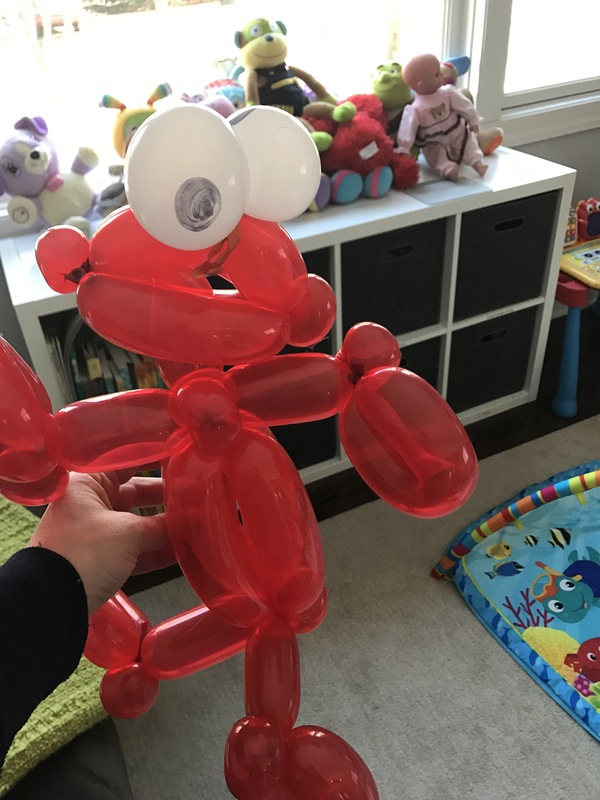 By the way, BrundleElmo also has giant disproportionate balls but that’s a different movie…probably on TLC. This entry was posted in Uncategorized and tagged amy schumer, Art, babies, Blogging, cooking, education, elmo, exercise, exericse, fashion, food, fun, funny, Kids, marriage, music, netflix, parenting, pregnancy, travel, writing. Bookmark the permalink.